Nina Godiwalla’s memoir of working on Wall Street begins with a sweaty walk to work through New York City, catching her heel in a grate, begging for help from a nearby blood-soaked fishmonger and eventually arriving at the JP Morgan office only to discover that she was at the wrong building. Little did she know that temperamental high heels would be the least of her troubles in the years ahead. 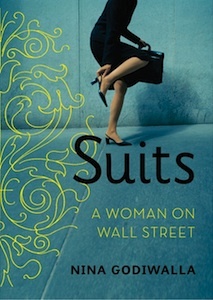 Godiwalla, BBA ’97, chronicles the rest of her harrowing finance career in her book, “Suits: A Woman on Wall Street” (2011, Atlas & Co. Publishers). Described by The New York Times as “The Devil Wears Prada” for investment banking, “Suits” details Godiwalla’s experiences at Morgan Stanley, where, as a second-generation Indian American woman from Texas, she fought daily to overcome her outsider’s position. What made you decide to write a book about your life on Wall Street? One of the courses I took [for my master’s degree in liberal arts] was a creative writing course and I wrote one short story about my experience on Wall Street and one short story about my family. [My professor] loved the writing. We ended up pulling [short stories] together to become a thesis for my degree. 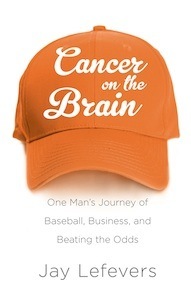 There was never an intentional “I’m going to sit down and write about this.” It was more that I had someone telling me that I had a lot of potential. The story was worth hearing and it was different. Growing up, did you consider yourself to be a good writer? Did you keep a journal while you worked on Wall Street, or did you start completely fresh for this book? I never went to the experience thinking that I would write about it, so I did have to start fresh. I kept a long document that had these notes, stories I remembered. If I had kept detailed notes of everything, it would have been harder to write that book because there would have been so much information. This was just what was memorable enough about the experience. If it didn’t stick in my mind, it didn’t get in the book. Did you ask other people about their memories to help fill in the gaps? At first I started to try that, but when you’re writing a memoir you start to realize that everyone remembers things a little bit differently. So then I started to get confused, specifically with a lot of the family stories. Everyone had a different version, but that wasn’t what I remembered and so in the end I just decided that it would be what I remembered. Do you think the essence of a memoir is really more about that personal feeling rather than trying to get a 100 percent completely accurate retelling of events? The only way you’re going to get that is if it’s recorded and everyone can go back and look and see exactly what happened. I think there’s a continuum of everyone’s idea of what you can do with memoir, but to me it’s really how you remember it, to the extent that you’re not completely making stuff up. It’s your interpretation of the situation; I think everyone interprets and remembers life differently. Why did you choose to start the book the way you did, with your horrible walk to work on the first day of your internship? For an East Coast reader, who’s so comfortable with all these things, they don’t have a sense for how different it is. For a New Yorker that’s just like, “Well, this is normal.” I was trying to give people an idea of how different the world I was coming from was, when you’re coming out of a suburb or something. I became part of that New York scene, but it very much wasn’t where I was from and it was all very new to me. I wanted to paint that picture for a start. You share fairly intimate—and not always flattering—moments in the book, both personal and professional. How did your family and former coworkers respond? In your opinion what is the bigger picture and the point of the book? This process helped me redefine my idea of success. Part of the back story about my family is giving people an idea of how my idea of success and the American dream was formed; the epitome of it was being on Wall Street. I had to rethink my whole life’s idea of what success is, and that was a turning point for me. One of the things for me was that there was kind of a silencing amongst women. I would see so many women have that embarrassing story, a story they’re not so proud of. I felt I kind of carried this story around like a secret. Here I am later, this very comfortable businesswoman, in control of situations, and I kind of cringe every time I remembered that experience. I saw a lot of women who had that shame. I wanted to bring a voice to that type of experience because I think so many people go through that early in their career. I wanted people to be more empowered if they were to go through a situation like that. After nearly a decade working for Fortune 500 companies, Godiwalla founded MindWorks, which trains professionals in meditation, creating positive corporate culture and stress management. Renowned as FDR’s favorite warship, the cruiser USS Houston faced a bitter battle in the far Pacific after Pearl Harbor. With no hope for reinforcement, its crew saw a deadly rain of fire from Japanese bombers. James D. Hornfischer (MBA ’98; JD ’01) brings to life the terror of nighttime naval battles and the valiant effort of the crew as they miraculously escaped disaster—until their luck ran out in the Sunda Strait. The Houston was finally sunk and its survivors taken prisoner. Hornfischer’s account doesn’t stop there. Through journals, testimony, and historical documents, he recounts the more than three years the crew spent in the brutal jungle POW camps. 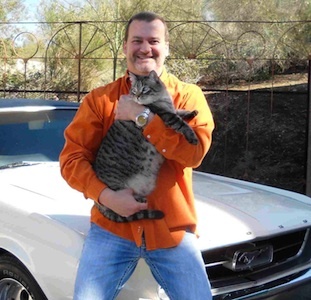 Hornsfischer lives with his family in Austin. His first book, “The Last Stand of the Tin Can Sailors” won the 2004 Samuel Eliot Morison Award for Naval Literature. “Ship of Ghosts: The Story of the USS Houston, FDR’s Legendary Lost Cruiser and the Epic Saga of Her Survivors” was published by Bantam in 2007. Reprinted with permission from the January/February 2009 issue of The Alcalde.